This weekend was mainly birthday party mode! Bella's 5th Birthday is this Thursday (where did the time go!?) and her party is next Sunday. Usually, she has a small birthday party (5 or 6 kids & maybe 10 parents), but this year we're going all out & she's having tons of kiddos & parents alike there. So I figured I needed to step it up a little. 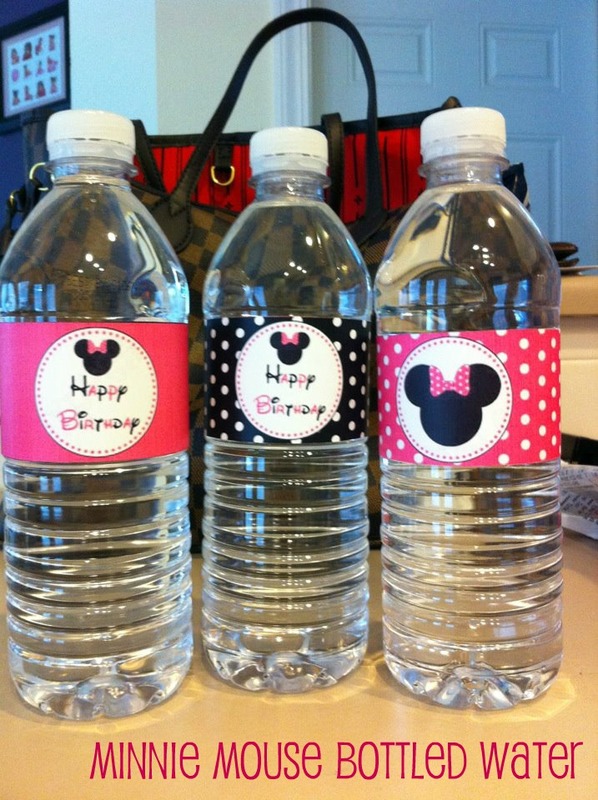 I ordered adorable invitations that I posted a few weeks ago, am having the cutest Minnie Mouse cupcakes, & decided to even decorate the water bottles for it! They turned out super cute & I can't wait to see it all come together next weekend! Saturday night, Bella stayed with her grandparents, so Eric & I had an impromptu date night. We ended up going out for Mexican food (which I still counted points & stayed within my daily points! ), then came home and finally got to watch Bridesmaids. It was pretty funny, but I think it was overhyped a little. I did have a few LOL moments during it though! 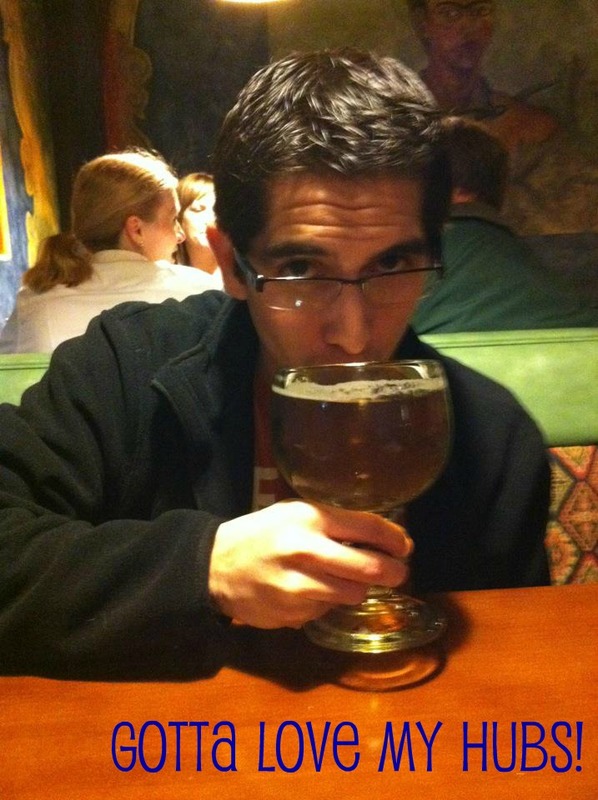 The Hubs drowning his UT lost sorrows in beer! Sunday we went to church, then came home to make homemade fat free chicken enchiladas! I wish I would have taken pictures of it, but it was delicious & 2 enhciladas was only 6 points! Definitely going to make that again soon! 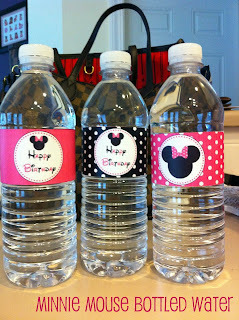 I will be taking TONS of birthday party pictures and will post here Sunday night/Monday morning! Also, I have 2 giveaways ending this coming week! Have you entered the Purex & Jockey giveaway or the $50 Spafinder.com giftcard & C3 for Stress giveaway!? Enter today & good luck! !